George Ruehling of Richmond Hill is 52-years old and is seriously ill. He is a loving husband, father, and friend. 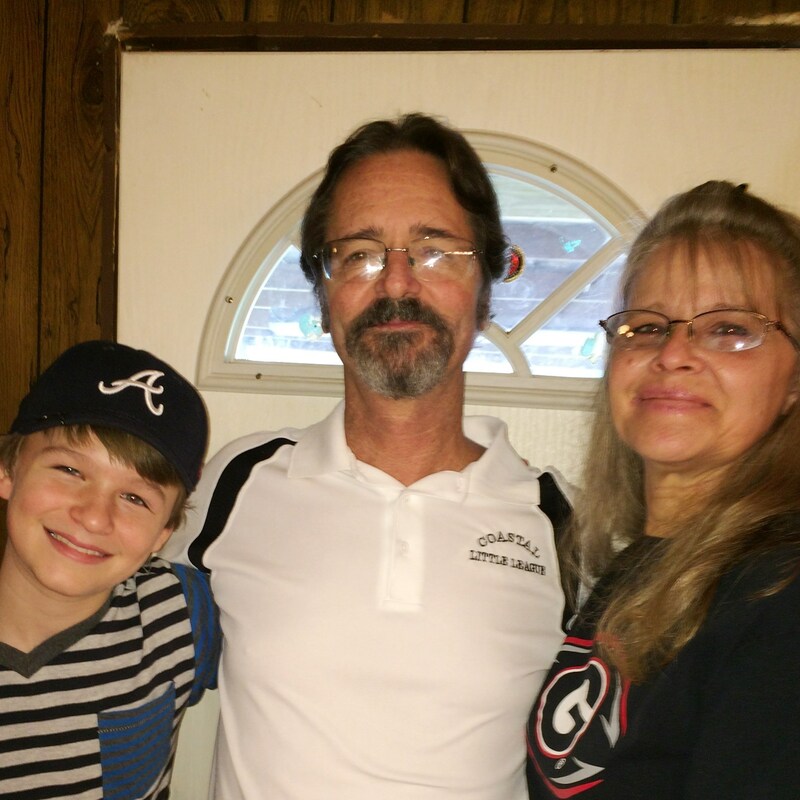 George has recently battled liver cancer, but has been advised by his team of doctors at Emory University Hospital that a liver transplant is his only hope of survival. Transplants are lifesaving, but very expensive. George grew up in Brunswick, GA, graduated from Glynn Academy and Georgia Southern University where he received a B.S. in Biology, and a M.S. Degree in Science Education. He taught High School Biology, Chemistry and Physics for ten years with the Bryan County Board of Education. George has always enjoyed the outdoors. He loves the water, fishing, boating and walking in the woods, stooping down to examine specimens of the flora and fauna that live in the area. As a teacher, he often exposed his students to nature by presenting his classes outdoors. Later in life, he started his own business, Coastal Landscape & Irrigation (so he could stay outdoors). Sadly, at this stage of his illness, George is confined to his home and can only enjoy the immediate “outdoors” surrounding his house. His wife, Sarah, and two sons, Jesse and Hunter, are his greatest loves and his greatest concerns. The cost of a liver transplant is overwhelming. Estimated costs for the surgery are more than $650,000. Even with insurance, the remaining costs are monumental. Expenses include the pre-transplant evaluation, surgery, hospitalizations, and doctor bills, pre and post-transplant medications, and the cost of travel and lodging to stay in Atlanta for 4-6 weeks post-transplant. 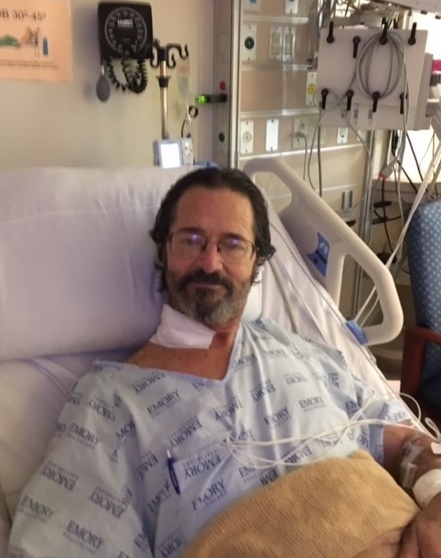 After transplant, his expenses not covered by insurance will include co-pays, lifetime anti-rejection drugs, and additional transportation and lodging fees. During that time, Sarah, his primary caregiver, will have to take time off from work to stay with him. After many years of helping hundreds of young people through teaching and helping his neighbors to improve the surroundings of their homes, George is now the one who needs our help. To help with the financial burden of George’s uninsured expenses, a fundraising campaign in his honor has been established with HelpHOPELive, a trusted nonprofit organization that has been providing community-based fundraising guidance to patients and their families for more than 30 years. All donations are tax-deductible, are held by HelpHOPELive in the Southeast Liver Transplant Fund, and are administered by HelpHOPELive for transplant-related expenses only. Please consider making a contribution. In an old Christmas song, Bing Crosby used to croon “I’ll Be Home for Christmas”. Christmas, 2015, had a very special meaning for George & his wife, Sarah. They were home for Christmas! At six weeks post liver transplant, George was doing so well that his doctors gave him a temporary reprieve at his home in Richmond Hill. In the meantime, they have returned to Emory Hospital in Atlanta for another round of tests. George’s blood work was reviewed and a couple of changes made in his medications, which is the usual routine for transplant survivors. They are looking forward to a January 20 appointment with Dr. Ryan Ford, George’s liver transplant physician. The Ruehlings are overwhelmed and very grateful for all the support from their families and friends, both prayer and financial support. This first battle has been won, but the war continues on. George takes approximately 16-20 pills twice a day and it will be about a year before he can return to work. The prescriptions are vital and necessary for the health of the new liver while fighting any chances of rejection. The medications are very expensive and the family will be appreciative of any financial assistance to purchase them. George’s extended family has been filled with joy during the Christmas season over the “miracles” that have been a very large part of his recovery. Our gracious and merciful God has been pouring forth His love and the family requests that you continue your prayers for the long journey ahead. George is now five weeks post-transplant and progressing well. He is still recuperating at the Mason House, near Emory Hospital in Atlanta. His wife, Sarah, is with him and has been his primary care-giver during this time. His schedule during November has included three days of reporting to Emory every week for lab work and a consultation with a physician, who reviews his blood workups and makes changes in his meds, if needed. 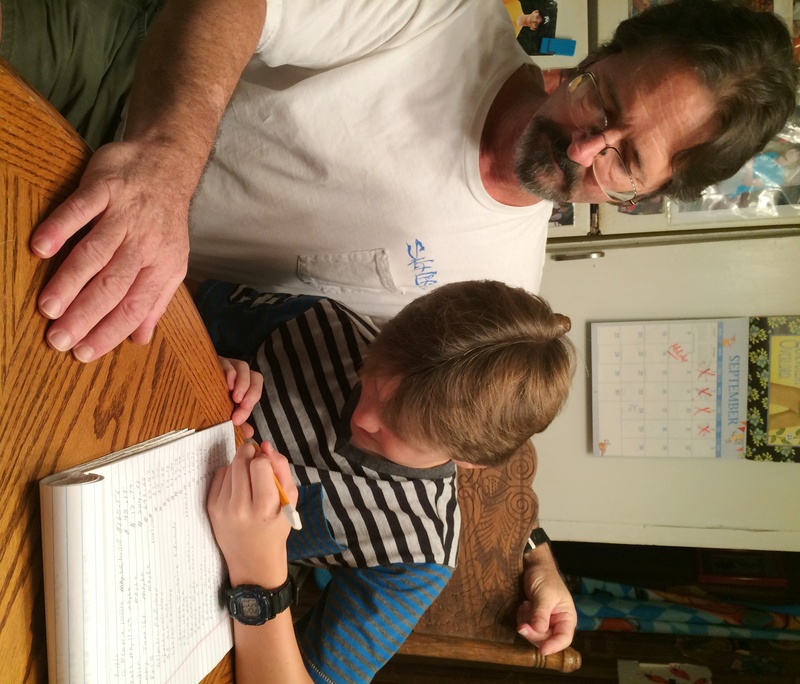 The main focus of the physician’s oversight has been to watch for George’s body’s response to the new liver and to look for any anti-rejection symptoms. So far, his reports have been pretty standard, with a few changes in medications. He is on seventeen different medications on a daily basis. As December has crept in, oversight visits have decreased to two days a week. He and Sarah have enjoyed being in the Mason House where they have the opportunity to interact with other transplant patients and their families. But, there really is no place like home, and they are patiently waiting for the time when they can go home and have all the blood work done locally. He will still have lots of regular visits to Emory that will involve many hours of travel for routine diagnostic tests in the Clinic. However, they both are looking forward to the time when they can go back to work and insert themselves in the routine of family life in Richmond Hill. Many thanks to all of George’s friends, family, and supporters. This is a long journey he has started and we will continue to keep you updated. George’s liver transplant was finished around Midnight on Monday, Nov. 2. Click helphopelive.org for a photo of George on the Wednesday following the surgery. His immediate recovery from surgery has been both amazing and miraculous. On Friday, Nov. 9, he was moved to Mason House where he will have a lengthy stay for oversight from his physicians. Sarah is staying with him as his primary caregiver and together, they have begun the long recovery. All of our hearts are full & overflowing with thanks and love for all the family and friends who are accompanying us in this journey! George & Sarah, My heart is so happy for the two of you. Great news, George is on the road to recovery and has been blessed with a new liver, and a new chance at life. Please take good care of yourself. Can not wait to see you. Love to this very special family. I went to school with both your parents: your Dad in grammar school and your Mom in high school. My prayer for you is that God continue to hold you in the palms of His Hands. We have no doubt our paths crossed this fall for a reason and we are blessed. We are certain God's love surrounds you and your family. Remain strong in your faith and know we continue to keep you in our prayers. George, so very fond of your parents...we send our prayers and support for your successful return to good health. I remember the wonderful Ruehling family from my days at GA, class of 81. God bless you all. Keeping George in our prayers as he overcomes this illness. .
Good luck George. We will be praying and thinking of you. We know you can come through this, your a great person and so many people love you. Many prayers. We love you. Prayers & Best Wishes, George! Sending good thoughts your way. We are helping George and Sarah with their fundraising activities and ask for your prayers and support.